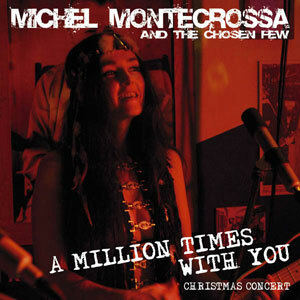 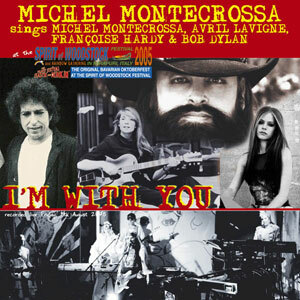 Michel Montecrossa’s beautiful Christmas Concert ‘A Million Times With You’ released by Mira Sound Germany on Audio-CD presents 18 acoustic and electric Song-Tracks including the title song ‘A Million Times With You #1‘, the country hit ‘True Lovin’‘ and the touching ‘All My Love For You‘. 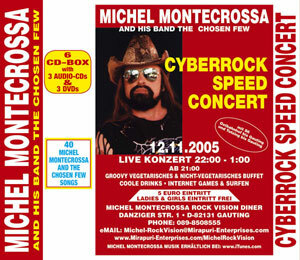 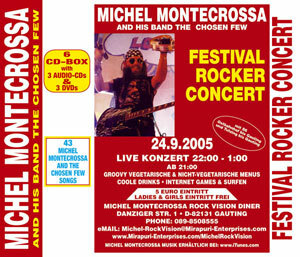 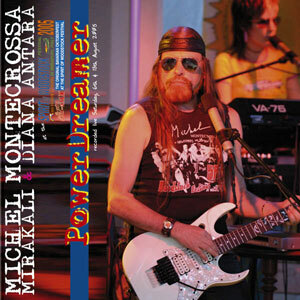 Michel Montecrossa’s great Autumn-Winter concerts 2005 are released by Mira Sound Germany on 7 productions including 219 song tracks and 121 DVD tracks. 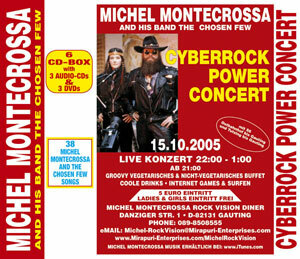 The Autumn-Winter concerts 2005 feature great dancedrive songs like ‘Cyberfrantic‘ by Michel Montecrossa, ‘Triumph And Glory Of A Man‘ by Mirakali and ‘Hands So Warm‘ by Diana Antara as well as Michel Montecrossa cyber-country songs like ‘Cyberboy & Country Girl‘ and ‘My Country Girl‘. 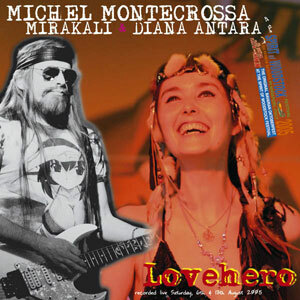 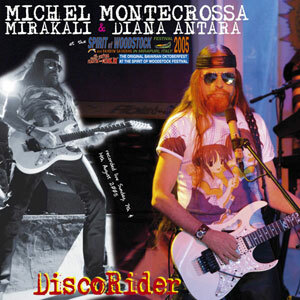 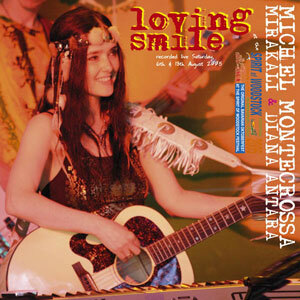 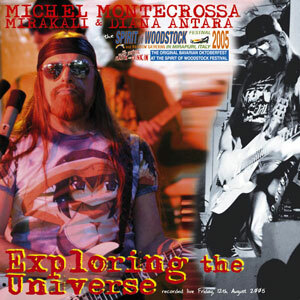 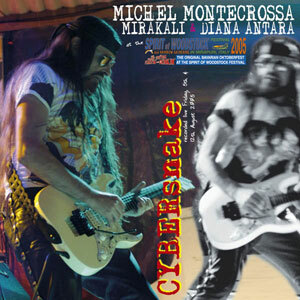 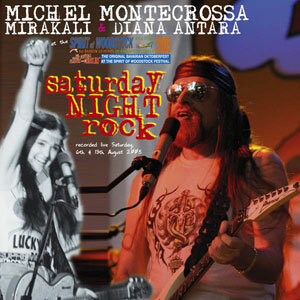 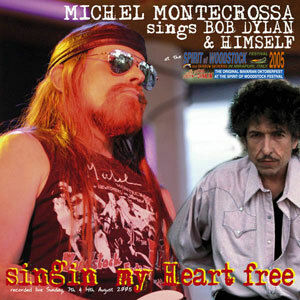 ‘Michel Montecrossa, Mirakali & Diana Antara at the Spirit of Woodstock Festival 2005 in Mirapuri, Italy’ released by Mira Sound Germany on 13 Audio-CDs presents Michel Montecrossa and his band-girls Mirakali and Diana Antara with their outstanding concert performances at the Spirit of Woodstock Festival 2005 in Mirapuri, Italy in full length with 131 Song-Tracks. 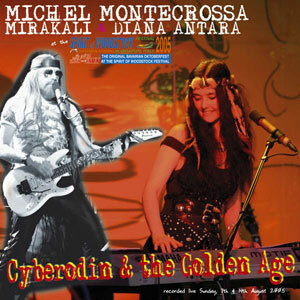 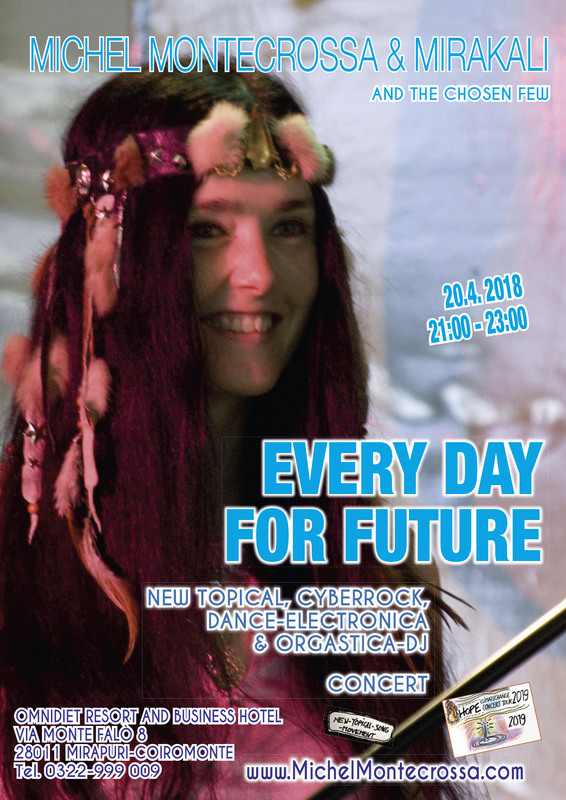 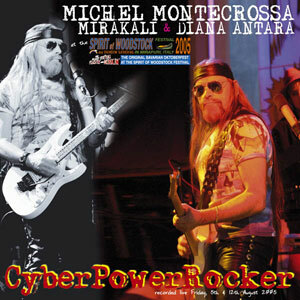 The Megaset includes great cybersongs like ‘Teeny Creamy‘ by Michel Montecrossa, ‘Feminine‘ by Mirakali and ‘Punk-Chick‘ by Diana Antara as well as Michel Montecrossa’s heroic romantic song ‘Diamond Sky‘ and the poetic ‘Singin’ My Heart Free‘. 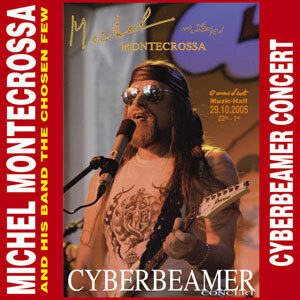 The Megaset also features Michel Montecrossa’s new creation of Bob Dylan’s ‘Billy 7‘, Avril Lavigne’s ‘Take Me Away‘ and Françoise Hardy’s ‘There’s So Much Beauty (Tant De Belles Choses)‘.